Even if you have your own yard space available for planting, you can join a community garden. Not only do they promote a sense of togetherness in your neighborhood, but they bring life and beauty to an area that might otherwise have been an empty lot. Plots manned by a community are the perfect place for kids to learn about gardening, as well. This spring, consider joining efforts in your area. Or, if you don’t have a garden near you, start one! You’ll need a sponsor willing to provide a plot of land – churches and parks often donate space – and permission from your town’s board. Once those are secured, recruit gardeners and do some fundraising. Want to keep the planet safe so the world can enjoy flowers for generations to come? Then get involved with conservation efforts in your community. You can do as much or as little as you’re comfortable with. That might mean recycling at home or volunteering for a nonprofit – whatever fits your schedule and interests. Start by seeing what groups exist in your community. Nonprofits are certainly an option, but you can look at clubs hosted by your library or community center too. If you can’t support sustainability with a group, do so at home. Swapping out incandescent light bulbs for LEDs, recycling, opting for reusable bags and containers, buying energy-efficient appliances and eating locally grown foods are all great ways to help the planet that don’t require a huge lifestyle change. Get your yard ready for warm weather by planning a garden. If you already have a garden you tend to every year, clean it up and start planting. However, if the idea is new, you can brainstorm. Think about what flowers and other plants you want and where you’ll put them. Do you want vegetables, fruits and herbs as well or only aesthetic plants? Start paying attention to how the sun lights your property, as some plants require more light than others. After you prepare the soil and plant your seeds, you’ll have to water and weed your yard. All of that hard work will pay off once your flowers bloom. If you don’t have the time or space for your own garden, bring flowers inside that someone else grew. Fresh-cut bouquets are beautiful and full of joy. Ordering flowers for your home allows you to incorporate whatever colors you love most at the time into your decor scheme. What’s more, you can pick out seasonal flowers as spring turns to summer. 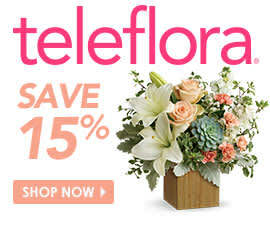 For a lovely March arrangement, choose early-blooming flowers like the Spring Romance Bouquet by Teleflora. It features pink tulips, white alstroemeria and variegated pittosporum in a glass vase you can reuse. I don’t have time to my own garden, so i must put in my home fresh-cut bouquets. Its very good soluton!